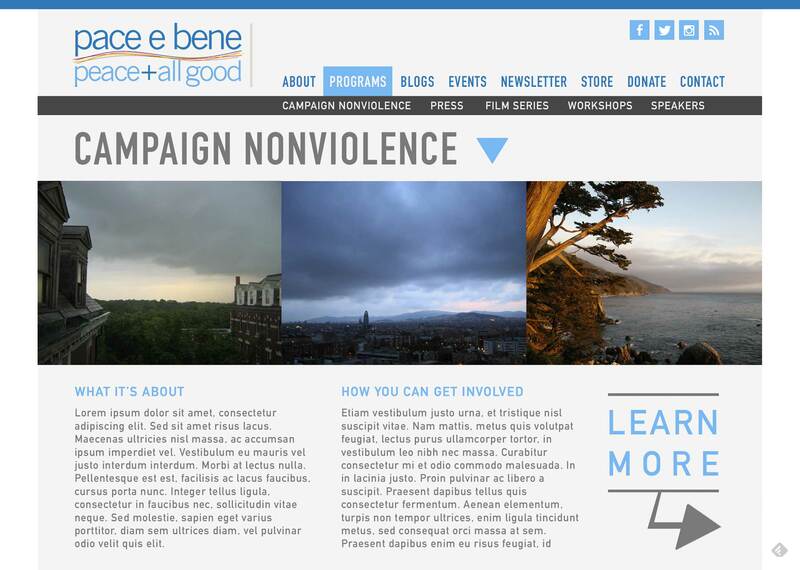 The nonviolent organizer juggernaut Pace e Bene commissioned me to overhaul their sprawling web site into something more clean and easily navigable. It was honestly one of the biggest design challenges I’ve ever faced, but the end product was worth the fight. I created a map of the former site’s layout and consolidated menu items, cut some others, then presented the new site plan to the organization. After some tweaks, I put the plan in action and the result is a much more well organized the site that retains all of the prior version’s essential content while providing visitors with a less overwhelming layout.